Yes, Virginia, there is a peace process! Forgive me if you don’t immediately grasp the meaning of the title above. I was reading some of the optimistic reports from U.S. journalists about the progress of the ‘peace process’ for Israel/Palestine. I was reminded of that famous letter that appeared in the New York Sun on September 21st, 1897, entitled, “Yes, Virginia, there is a Santa Claus”. It’s nice to believe in Santa Claus. It helps you to feel that all is right with the world and that good will be rewarded and evil punished. Belief in the Israeli/Palestinian ‘peace process’ plays exactly the same role, and it’s equally mythical! Read the wisdom of Uri Avnery below, spelling out in a very straightforward way why there can never be any genuine ‘peace process’ until both parties actually want one, and the State of Israel has made it very clear that it is totally uninterested! The only light on the horizon for the Palestinians is the fact that Syria seems to be surviving the foreign onslaught. If Syria can recover and if the Arab world can begin to unite, perhaps enough pressure can be brought to bear on Israel such that a Palestinian state might become a real possibility. Even so, this is a dim light on a distant horizon. IF YOU happen to bump into John Kerry at Ben Gurion Airport, you may wonder whether he is coming or going. He may well be wondering himself. For many weeks now he has been devoting most of his precious time to meetings with Binyamin Netanyahu and Mahmoud Abbas, trying to get these two people together. It is about half an hour’s car ride between the Prime Minister’s Office in Jerusalem and the Palestinian President’s Mukata’ah in Ramallah. But the two are more distant from each other than the Earth and Mars. Kerry has taken it upon himself to bring the two together – perhaps somewhere in outer space. On the moon, for example. Ah, there’s the rub. The idea seems to be a meeting for meeting’s sake. We have watched this procedure for many years. Successive American presidents have undertaken to bring the two sides together. It is an American belief, rooted in Anglo-Saxon tradition, that if two reasonable, decent people get together to thrash out their differences, everything will fall into place. It’s almost automatic: meet – talk – agree. Unfortunately, it does not quite work this way with conflicts between nations, conflicts that may have deep historical roots. In meetings between leaders of such nations, they often just want to hurl old accusations at each other, with the aim of convincing the world that the other side is utterly depraved and despicable. Either side, or both, may be interested in prolonging the meetings forever. The world sees the leaders meeting, the mediator and the photographers working hard, everybody talking endlessly of peace, peace, peace. I remember a Scandinavian gentleman named Gunnar Jarring. Remember him? No? Don’t blame yourself. He is eminently forgettable. A well-meaning Swedish diplomat (and Turkologist), he was asked by the UN in the early 1970s to bring the Egyptians and Israelis together and to achieve a peaceful settlement between them. Jarring took his historic mission very seriously. He shuttled tirelessly between Cairo and Jerusalem. His name became a joke in Israel, and probably in Egypt, too. The protagonists in those days were Anwar Sadat and Golda Meir. As we disclosed at the time, Sadat gave Jarring a momentous message: in return for getting back all of the Sinai peninsula, conquered by Israel in 1967, he was ready to make peace. Golda rejected this proposal out of hand. There was, of course, no meeting. Everybody knows how this chapter ended. After Golda had rejected everything, Sadat attacked, won an initial surprise victory, the whole political world started to move , Golda was kicked out, and after four years of Yitzhak Rabin, Menachem Begin came to power and agreed the same peace with Sadat that had been proposed before the war. The 3000 Israeli soldiers and around 10,000 Egyptians who died in the war did not see it. Jarring, by the way, died in 2002, unsung and forgotten. KERRY IS no Jarring. First of all, because he does not represent a powerless international organization, but the World’s Only Superpower. The full might of the United States of America is at his disposal. That is really the most relevant – indeed the only relevant – question at this moment. He will need a lot to achieve his heart’s desire: the meeting – not just the meeting, but The Meeting – between Netanyahu and Abbas. That looks like an easy task. Netanyahu declares, with his usual sincerity, that he wants to meet. Nay, that he is eager to meet. With the polished charm of a seasoned TV presenter familiar with the power of visual images, he even offered to put up a tent halfway between Jerusalem and Ramallah (at the infamous Qalandia checkpoint?) and sit down with Abbas and Kerry until a full agreement on all aspects of the conflict is achieved. Who could resist such a generous offer? Why the hell does Abbas not jump at it and grasp it with with both hands? For a very simple reason. The very start of new negotiations would be a political triumph for Netanyahu. Actually, it’s all he really wants – the ceremony, the bombast, the leaders shaking hands, the smiles, the speeches full of goodwill and talk of peace. And then? Then nothing. Negotiations that go on endlessly, months, years, decades. We have seen it all before. Yitzhak Shamir, one of Netanyahu’s predecessors, famously boasted that he would have dragged out the negotiations forever. The profit for Netanyahu would be clear and immediate. He would be seen as the Man of Peace. The present government, the most rightist and nationalist Israel has ever known, would be rehabilitated. The people around the world who preach a boycott of Israel in all spheres would be shamed and disarmed. The growing alarm in Jerusalem about the “de-legitimization” and “isolation” of Israel would be relieved. What would the Palestinian side get out of it? Nothing. No stop to the settlements. Not even the release of old prisoners who have been incarcerated for more than 20 years (like those who were released to Hamas in return for Gilad Shalit). Sorry, no “preconditions”! Abbas demands that the aim of the negotiations be spelled out in advance: the establishment of the State of Palestine with borders “based on” the pre-1967 lines. The omission of this statement from the Oslo accords of 1993 led to their eventual evaporation. Why make the same mistake twice? Also, Abbas wants to set a time limit for the negotiations. A year or so. Netanyahu, of course, refuses all of this. At the moment, poor Kerry is trying to put something together that would satisfy the wolf while keeping the lamb alive. Give Abbas American assurances without Israeli assurances, for example. IN ALL this bickering, one basic fact is ignored. It’s that elephant again. 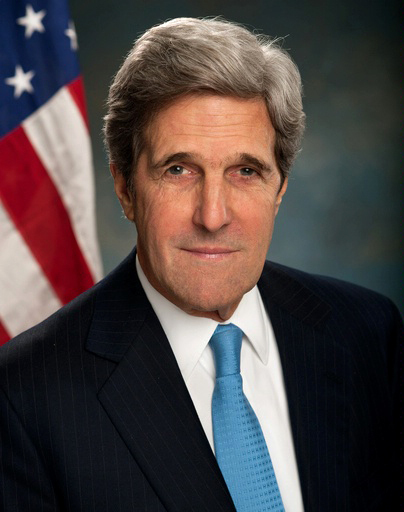 The elephant in the room, whose existence Netanyahu denies and which Kerry is trying to ignore. The assumption is generally made that the negotiations are between equals. In cartoons, Netanyahu and Abbas appear to be of equal size. The American picture of two reasonable people talking it out between themselves presupposes two more or less equal partners. But this whole picture is basically false. The proposed “negotiations” are between an almighty occupying power and an almost totally powerless occupied people. Between the wolf and the lamb. The Israeli army operates freely throughout the West Bank, including Ramallah. If Netanyahu so decides, Abbas may find himself tomorrow morning in an Israeli prison, together with the old people Netanyahu refuses to release. Less drastically, the Israeli government can at any moment, at will, stop transfering the large sums of tax and customs money it collects on behalf of the Palestinian Authority, as it has done several times already. This would immediately bring the PA to the brink of bankruptcy. There are hundreds of ways, one more refined than the other, in which the occupation authorities and the occupation army can make life intolerable for individual Palestinians and their community as a whole. What can the Palestinians do to put pressure on the Israeli government? Very little. There is the threat of a Third Intifada. It worries the army, but does not frighten it. The army’s answer is more repression and bloodshed. Or another resolution of the UN General Assembly, elevating Palestine to the rank of a full member of the world organization. Netanyahu would be furious, but the actual damage would be limited. ANY PRESSURE to start meaningful negotiations that would lead to a peace agreement in – say – a year must come from the President of the United States of America. That is so obvious that it hardly needs mentioning. This is the crux of the matter. Kerry can bring cash, a lot of cash, to bribe the Palestinians, or whisper into their ears dire threats to frighten them into meeting Netanyahu in his imaginary tent – it will mean next to nothing. The only chance to start real negotiations is for Barack Obama to put his full weight behind the effort, to confront Congress and the hugely powerful pro-Israel lobby and dictate to both sides the American peace plan. We all know what it must look like – a combination of the (Bill) Clinton outline and the pan-Arab peace initiative. If John Kerry is unable to deliver this pressure, he should not even try. It really is an imposition to come here and shake things up when you have no means to impose a solution. Sheer impertinence. Or, as you say in Hebrew, Chutzpah. Tags: israel, israel and palestine conflict, john kerry, Kerry, peace, peace process, two-state solution, uri avnery. Filed under Israel and Palestine, israel and palestine conflict by Father Dave on Jul 6th, 2013. Comment. Did anyone really expect Kerry to achieve anything (apart from Kerry himself perhaps)? The ‘peace process’ has been accurately caricatured as two persons negotiating over how to divide up a pizza while one party is eating the pizza. The recent demand from the Palestinian side – that before negotiations can be restarted Israel outlines their vision for a two-state solution – is entirely reasonable. In the terms of the pizza analogy, they haven’t even demanded that the other party stop eating but only that they outline their plan to stop eating! Israel refuses to offer any outline of their own vision for a future Palestinian state, and this is obviously because they don’t have one! Kerry plays along with the Israeli charade and expects the Palestinians to come on board by offering them a few economic incentives. How insulting! It seems that Kerry has adopted the Zionist mindset wherein Arabs are not seen as being fully human. Kerry throws a few crumbs and expects the Palestinians to scamper up and sit obediently at his feet. No. America has done its dash as a potential broker for peace between Israel and Palestine. US Secretary of State John Kerry promised “constructive talks” between Israel and Palestine, but both sides say that’s not happening anytime soon. Just a few days ago, US Secretary of State John Kerry made a promising trip to Israel to rekindle Israeli-Palestinian peace talks. By Tuesday, Kerry was already announcing he had held “very constructive talks” with both Israeli and Palestinian leaders, hopefully to pave the way one day for the two sides to talk directly with each other. “Each of them made very serious and well-considered, constructive suggestions with respect to what the road forward might look like,” Kerry told reporters on Tuesday. Unfortunately, his attempt at peace talks appears to have floundered so far. A senior Israeli official told the country’s media they weren’t budging. “There will be no response to any demand where the purpose [of the demand] is to supply appease [sic.] the Palestinians and make them come to the table,” an unnamed Israeli senior official told Ynet. “Ministers are unanimous over the decision of not giving in to any pre-condition. They present conditions in order to make the process of renewing direct talks difficult. There will be no gestures, especially not land withdrawals,” the anonymous source added. The reports came hours after Palestinians said they would only negotiate peace in exchange for “a clear formula” concerning borders and the release of detainees in Israeli jails, the Times of Israel reported. The bad news came as President Barack Obama’s special envoy to the Middle East, Philip Gordon, is reportedly carrying out an intense series of under-the-radar meetings with high-level Israeli government officials. And it’s 10 days before a planned visit to the country by US Defense Secretary Chuck Hagel. GlobalPost’s senior correspondent in Israel, Noga Tarnopolsky, says some skepticism is not surprising. “There does seem to be fear in Jerusalem that Kerry somehow ‘misunderstands’ the principles at stake, and is trying to push a territorial and security-based solution,” she said. However, that’s not so clear cut, she explained. Just this week Tsippi Livni, the justice minister who’s in charge of negotiations on the Israeli side, said recognition of Israel as a Jewish homeland is not a necessary precondition for negotiations. Tags: arabs, israel, israel and palestine conflict, john kerry, Kerry, Palestinian, palestinian leaders, peace. Filed under israel and palestine conflict by Father Dave on Apr 13th, 2013. 1 Comment. Khaled Mashal – the key to peace for Israel/Palestine! This is an insightful and well-written article. Certainly negotiating with Hamas is the only way forward. It doesn’t take a genius to work out that if there is a radical faction and a moderate faction you should always negotiate with the radical faction first. If you can reach agreement with the radicals, the moderates will join you too. If you only reach agreement with the moderates, you still have the radicals to deal with. It is true that Hamas’ charter is horribly anti-Semitic. Even so, as the author points out, Mashal has shown himself to be a pragmatist and does not seem to be bound by the charter. My first martial arts instructor taught me “Your mouth can lie but your body can’t lie”. It’s true. Regardless of the words of any charter, the important thing is what Hamas actually does, and there is every indication that Hamas is willing to be realistic about accepting a tw0-state solution within the pre-1967 borders. The real question is whether Israel is willing to accept this. Earlier this week, the Shura council of Hamasre-elected Khalid Mishal as the political head of their organization for a fourth straight time. Last year Mishal had vowed to step down from his post which many criticized within the party, asserting that he stay at the helm. 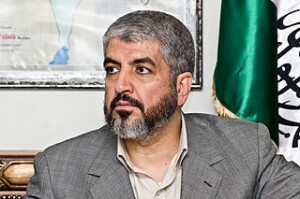 With the election of Khalid Mishal, Hamas has shown its willingness to be more pragmatic, further asserting the need to include it in future negotiations on the decades long conflict. Mishal’s ascendancy to the highest office was sparked by Israel’s attempt to assassinate him back in 1997. Under direct orders from then Prime Minister Benjamin Netanyahu, Mossad planned a hit on Mishal while he was residing in Jordan at the time. The incident caused an international uproar, requiring a direct intervention by President Bill Clinton. Ever since, Mishal’s repute amongst Palestinians has reached new heights with every passing year. While Mishal has been leading the organization since a good part of the last decade, he returned to Gaza last year for the first time in 45 years, welcomed by thousands of his supporters, displaying the height of his unquestionable popularity. Prominent analysts and critics have highlighted Mishal’s unique role in brandishing the image of Hamas from one consisting of an army of suicide bombers to a democratic entity that deserves a say in the future of its fellow Palestinians. While many now see Hamas’s rise and evolution as promising, prospects of negotiating with the group has been futile. The Israeli government has had a zero tolerance policy towards Hamas, who they consistently accuse of seeking to destroy Israel, citing Hamas’s manifesto. Following cue, the Americans have shut any doors to including Hamas regarding negotiations on Israeli settlements and Israel-Palestine peace deals. Mishal has never moved away from the position that resistance, and armed resistance is a right for Palestinians as long as the occupation continues. Mishal has supported suicide bombings and rocket launches into Israel, justifying the attacks as a legitimate source of opposition to the brutal tactics of the Israeli state. Many in Hamas describe it as an act of desperation in the face overwhelming Israeli military power. However, since Hamas’ rise to power, and especially after their election win in 2006, it has readily abandoned the practice of suicide bombing in the past years, citing it to be detrimental to their cause. Nevertheless, in November last year, they threatened to renew the practice in retaliation to the highly provocative killing of one their top commanders by the Israeli establishment. Mishal and Hamas have also successfully negotiated and maintained several ceasefires with the Israeli state. Before the Gaza war started in December 2008, Hamas had respected the ongoing ceasefire for around six months before it was broken, its cause remaining disputed. Tags: faction, Hamas, israel, israel and palestine conflict, Jimmy Carter, peace. Filed under israel and palestine conflict by Father Dave on Apr 11th, 2013. Comment. Is this Mahmoud Abbas’ attempt to rescue his credibility after years of submissive acquiescence to his Israeli and US overlords? However we understand it, Abbas’ demand – the the Israeli Prime Minister provide an outline of his vision for a two-state solution – was entirely reasonable, and Netanyahu’s refusal to comply exposed his government’s peace talk as entirely disingenuous. Palestinian President Mahmoud Abbas on Sunday slammed Israel for refusing to present its vision regarding the borders of the future Palestinian state. Abbas made his protest during a meeting with U.S. Secretary of State John Kerry in the West Bank city of Ramallah, a source told Xinhua. 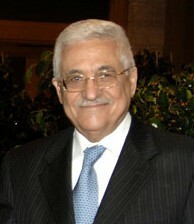 Abbas stressed that the negotiations should resume. The source said Kerry’s efforts faced the first obstacle when Netanyahu refused to show his government vision for the process of the talks and halt settlement constructions in East Jerusalem. Earlier in the day, a Palestinian official said the Palestinian leadership halted plans to join any UN organization to give time for Kerry’s mission. “Kerry asked for two months appointed time to move forward the peace process before we go to the UN organizations, and we have agreed on this,” said Palestinian Foreign Affairs Minister Riad Al- Maliki. “If Kerry fails in this, we will not abide by our commitments and will start moving toward the international organizations and specialized agencies” for membership and to sign international treaties, Al-Maliki told Voice of Palestine radio. Tags: Abbas, benjamin netanyahu, father dave, israel and palestine conflict, mahmoud abbas, Palestinian, peace. Filed under Israel and Palestine by Father Dave on Apr 10th, 2013. Comment. Is Turkey really relevant to any Israel/Palestine ‘peace process’? The real issue here is not whether Turkey is relevant to the ‘peace process’ but whether Kerry is! America no longer has any credibility left as a broker for peace. Obama’s visit confirmed his complete alignment with the values of the Israeli Occupation. The other character who is becoming largely irrelevant is Abbas. It’s time he stepped quietly aside for someone who will truly represent the hopes of his people. Ramallah: Top US diplomat John Kerry met Palestinian leaders Sunday on a fresh mission to forge a new path forward after a years-long impasse in Middle East peace negotiations. Flying in from Istanbul, the first stop on a 10-day overseas trip, the US secretary of state’s convoy sped directly to the Ramallah headquarters of Palestinian president Mahmud Abbas in the West Bank. Kerry said after talks with Turkish Foreign Minister Ahmet Davutoglu in Istanbul that he saw Ankara as “an important contributor to the process of peace,” adding it could help with building up the shaky Palestinian economy. But Justice Minister Tzipi Livni, Israel’s newly appointed lead negotiator for peace talks, played down the idea of Ankara’s immediate involvement, saying it was “interesting, but it could take time.” Washington’s top diplomat also urged Turkey and Israel to fully normalise their relationship two weeks after the Jewish state’s US-brokered apology for a deadly 2010 raid on a Gaza aid flotilla organised by a Turkish charity. Kerry, President Barack Obama’s new pointman on the Middle East, is leading a renewed US effort to coax Israel and the Palestinians back to negotiations which have been frozen since September 2010. First the two leaders met for about 20 minutes flanked by several top Palestinian and US officials, focusing on economic development and how to tap into resources and the private sector. The Palestinian Authority, headed by Abbas, is facing a huge budget deficit and economic crisis. Abbas said the release of prisoners held by Israel was a “top priority” for resuming peace talks. “President Abbas stressed that the release of the prisoners is a priority that creates an appropriate climate for the possibility of moving the peace process forward,” his spokesman Nabil Abu Rudeina said. As the talks got under way, militants in Gaza fired a rocket which crashed into an uninhabited part of southern Israel without causing casualties or damage, police said. The Gaza-Israel border has been largely quiet for the last four months since an Egyptian-brokered ceasefire ended a deadly eight-day confrontation in November. When Abbas hosted Obama in Ramallah last month, the Palestinian leader made clear there would be no return to negotiations without a settlement freeze. But he has also made it known he would suspend for two months all unilateral efforts to seek international recognition to give US-brokered efforts a chance, a Palestinian official told AFP last week. Abbas also wants Israeli Prime Minister Benjamin Netanyahu to present a map of the borders of a future Palestinian state before talks can resume. “Any return to negotiations requires Netanyahu to agree on 1967 borders,” his political adviser Nimr Hammad told AFP referring to the lines that existed before the Six Day War when Israel took over the West Bank, Gaza Strip and east Jerusalem. Netanyahu has on several occasions said he would not accept a return to the 1967 lines. Tags: Abbas, israel and palestine conflict, john kerry, Kerry, mahmoud abbas, peace, process. Filed under israel and palestine conflict by Father Dave on Apr 10th, 2013. Comment.